Oh my...I've had one of those days where I kinda forgot what day of the week it is! LOL!! Anyhooo....this week's Tuesday Archives theme is reading. I know, not a quilty theme, but never-the-less, a past-time I notice many of us quilters do enjoy. I usually read in the summer as I always get so caught up in a book and end up staying up way too late reading! 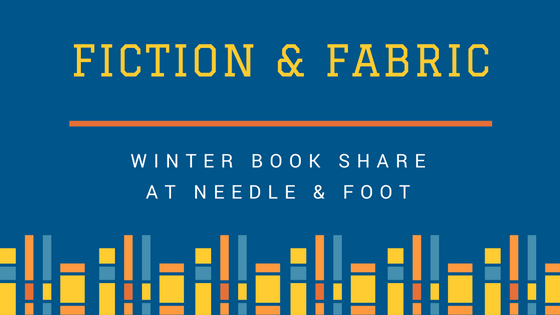 Bernie over at Needle and Foot came up with the most creative idea and started a Fabric and Fiction book share. I got in on the Winter Book Share and am looking forward to my turn. 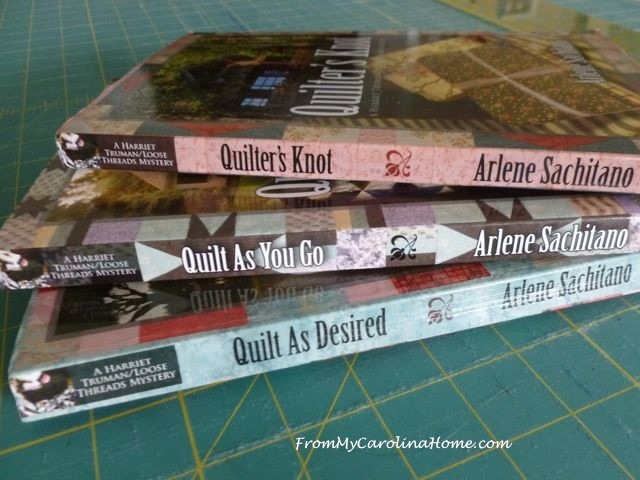 Click HERE to read all about her cool happy mail/quilters book club of sorts. And I know many of you also post your "current" read on your sidebars too. (Cause I'm always looking) So this week guys, really, feel free to create a new post with your favorite recommendations and/or rejuvenate your already published book/reading posts. I'll leave the linky open till next Monday but know this week's linky theme is open to anything that has to do with reading. Enjoy! Thanks for the feature!! I have so many book reviews on my blog, but I'll stop with just five linkups, LOL!! I'll have to go the library to check out these books. I have all the Elm creek books. My daughter bought them all for me over many birthdays and Xmas gifts. I don't think I have any posts on books except my blog 2 print... yep . I'll do that one..
Jo! We can get our blog made into a book!! This is sooooo cool! THANK YOU for sharing your post on how you did this. Hi Valerie, This makes me want to head to the library. That snack next to the book looks so good, that after typing this comment, I think that I need to head to the frig and find me some breakfast, LOL. Yum! This sounds like a fun theme, Val. I have not read a book in a few years and I used to read all the time. I guess my prioroties have changed a little. For now, I am spending every free moment trying to finishh some quilt tops. Finishes, finishes, finishes is what I am all about lately!